Comments: There are several 'Simplicity' roses that are sold for their different colors and fragrances. 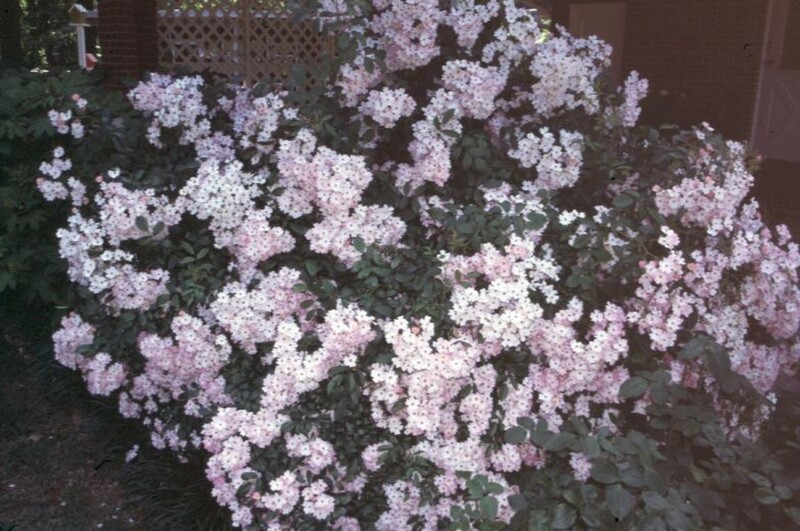 This one produces off white to light pink flowers and makes an excellent hedge plant that blooms for several months of the year. Pruning is required periodically to keep plant growth in check and to maintain a compact plant that produces a bounty of flowers.